To be the preferred Resource Center for our members supporting their economic and business development. We provide and inform of resources and programs to help the region grow. We promote a strong regional economy. We advocate for our businesses, professionals, educational and industrial communities. We value our community commitment. The Central PA Chamber of Commerce exists to help businesses in Central PA succeed, thrive and grow. We value each and every member. That’s why we won’t simply take your membership check, then sign-off for the year. We pride ourselves in getting to know your business and connecting you to the resources that help your business grow. The Chamber is a member-supported organization with a full-time staff dedicated to preserving, enhancing and expanding the opportunities for growth of the business, professional, and industrial communities in Central PA.
Our objectives are to preserve and increase jobs, capital investment and opportunities for economic growth. The business of the Central PA Chamber of Commerce is business. The Chamber is the vehicle through which its members may work to promote and improve the entire community, thereby improving the environment within which free enterprise may be established and within which it may flourish. 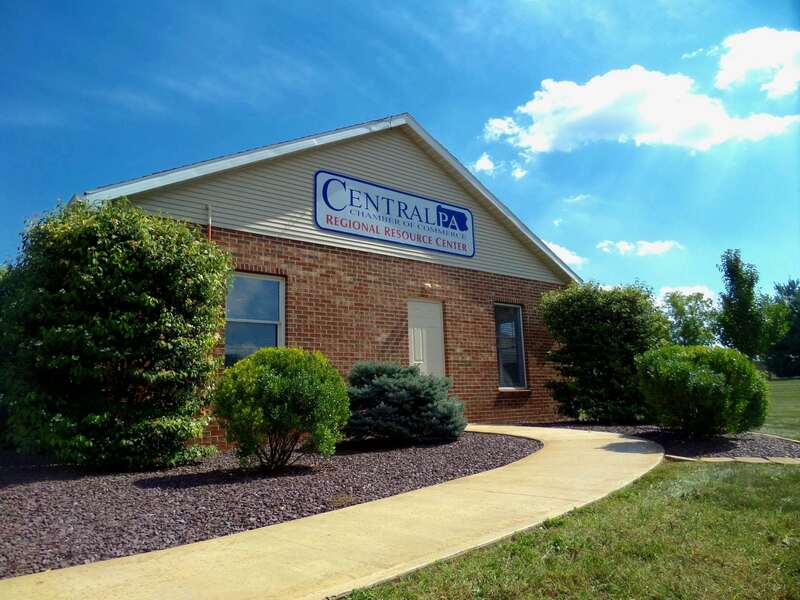 Take a virtual tour of the Central PA Chamber! In 1905, the focus was on Milton, and when the 1920s rolled around the change in name reflected that focus when their charter was reactivated and The Milton Chamber of Commerce was born. The year 1956 brought two visionary groups together, the Chamber and the Milton Civic Improvement Association and their shared realization that they needed to have a more forward thinking and reaching outlook. The groups changed the name to reflect that broadening vision, to The Milton Area Chamber of Commerce. 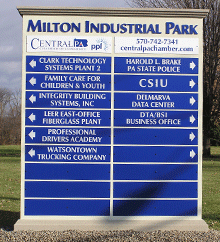 During the 1960s, the broadening vision included the purchase of almost 700 acres of ground in what today is the Milton Industrial Park, where nationally known companies such as ConAgra, Weis Markets, Leer and long time local companies, Professional Drivers Academy, S&L Services, Jeraco, PAWC, Watsontown Trucking, Keystone Sporting Arms and reside, along with newcomers Patton Warehousing and Rotabelt. 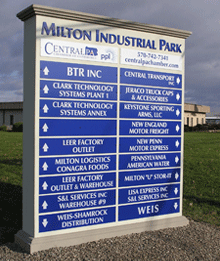 In 2004, there was another name change, brought about by the Chamber members’ desire to continue to reach out and embrace a more regional approach. 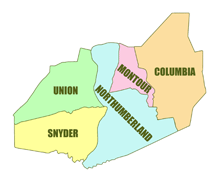 The service territory was expanded to include Columbia, Montour, Northumberland, Snyder and Union counties, with the goal to be ready to service any area with the state that asked for assistance. With our rich history and related corporations, we are working with individuals and businesses to help small businesses grow. The continuing partnership between volunteers and professionals means the next 114 years can be just a prosperous as the past 114 years.